Accounting software firm Sage has generated dividend growth of more than 8% per year over the last decade. That’s impressive, but is it enough to justify the company’s measly 2.4% dividend yield? At first glance I’d say yes. After all, a 2.4% income growing at 8% per year will give you a total annual return of 10.4% if the share price grows in line with the dividend. But investing is not quite that simple, so we’ll need to look at Sage and its financial results in a little more detail. Sage Group started as a three-man operation in the early 1980s after Graham Wylie developed what became Sage’s core accounting software while still a student. The company was almost immediately successful and by the end of the 1980s it was listed on the London Stock Exchange. In 1999 it joined the FTSE 100 and it’s been there ever since. Way back in Ye Olden Days, software vendors used to sell software applications to customers, typically on some sort of disk (floppy or otherwise). The customer would pay for the software, receive a disk in the post, install it and use it for all eternity without ever having to pay another penny. The software vendor would bring out a new version of the software and then hope that its previous customers would buy the new version in order to use the new version’s awesome new features. But many existing customers wouldn’t upgrade because the old version which they’d already paid for was perfectly adequate. Clearly this was not advantageous to the software vendor. Fortunately for them, Web 2.0 technologies appeared in the early 2000s, bringing far more interactivity to previously static websites. On the back of those technologies, Software as a service (SaaS) was born (or more accurately, went mainstream). SaaS allows users to access software applications through a web browser in a way that feels pretty much like an installed application rather than the old Web 1.0 static webpage. They can access the same app (as software applications are now known) through their PC, Mac, mobile device or pretty much anything else that can run a modern web browser. Their data is probably safer because it should be stored in professionally managed servers rather than on their laptop (so if the user’s laptop is run over by a bus they won’t lose all their data). The software is automatically updated, so they always have the latest version and don’t have to fuss around installing new software. As for the software vendor, they get to charge customers on a recurring basis for access to those software services. Because of these advantages, the old model of customers paying a single lump sum up front is being rapidly replaced with a model where they pay less up front but more on an ongoing basis. For companies like Sage this is excellent news because it makes their revenue streams incredibly reliable and robust and increases the lifetime value of each customer. It also makes it easier for companies like Sage to up-sell and cross-sell customers onto more expensive versions or additional subscription software, because once the user is logged in the company can dazzle them whatever messages (adverts) it likes. One last thing I want to mention before moving onto some number crunching is the barriers to exit that Sage’s customers face. Barriers to exit, otherwise known as switching costs, are a form of competitive advantage where it becomes hard for a customer to switch to a different supplier. For example, the switching costs for Coca Cola are virtually zero because I can buy the much cheaper Tesco Cola for no extra effort (yes they’re different products, but to my taste buds they’re close enough to be substitutes). But this isn’t true for Sage’s customers. If I ran my company’s accounts, payroll and who knows what else through Sage software, it would be hard for me to switch to a competitor like Xero, Crunch or Zoho Books. It wouldn’t be impossible, but I would have to fiddle around backing up financial data to spreadsheets, setting up my company on the new software and then becoming familiar with how the new software works. So even if Xero was better than the Sage equivalent (I don’t use either so I have no idea) I would balk at the idea of switching, just because of the time and effort needed to do it. A good company, but is it worth its current price? In summary then, I like Sage. It’s a FTSE 100 company moving full speed into the world of SaaS and cloud computing and that’s probably a good thing. It’s a market leader, it has lots of recurring revenue coming in from all over the world, and businesses need accounting and payroll software regardless of whether there’s a recession. So it’s a defensive company and a steady growth company, but that low dividend yield still bothers me. I think it’s time to do a bit of number crunching to see if an investment in Sage has any reasonable chance of producing the 10%+ annual returns I’m aiming for over the next five years or more. An average growth rate of 5.8% is pretty good and slightly above the 4% or so you might reasonably expect from an index tracker. However, that figure is skewed upwards slightly by the fact that dividends per share have been growing faster than either revenues or earnings per share. As attractive as that 8.4% dividend growth rate is, it won’t be sustainable unless revenues and earnings growth catches up. If Sages revenue and earnings growth don’t speed up then at some point its dividend will exceed its earnings, and that situation rarely ends well. I think a more prudent estimate of Sage’s sustainable growth rate would be around 5%, which isn’t bad, but it isn’t going to set the world on fire. In other words, with a 2.4% dividend yield, a 5% growth rate gives a yield-plus-growth total annual return figure of just 7.4%, which is about what you might expect to get from a FTSE All-Share index tracker. Of course, management are more optimistic and the company’s Investor Factsheet (pdf) cites a long-term revenue growth target of at least 10% per year. But is a 10% growth target optimistic, or over-optimistic? It’s hard to say for sure, but it certainly won’t be easy otherwise the company would already be doing it. Others analysts are far more negative than I am. On a more positive note, Sage’s £1bn borrowings are not excessive for a company of its size, although they’re not exactly insignificant either. £1bn of debt gives the company a Debt to Profit Ratio of 3.6, which is comfortably below my preferred maximum of 5.0 for relatively defensive companies like Sage. The balance sheet is also producing good returns with an average 10-year return on capital employed of 14.2%, which is well-above the 10% average for stocks on my stock screen. This supports the idea that Sage has some competitive advantages, which I think are primarily its brand name, its economies of scale and those customer switching costs. 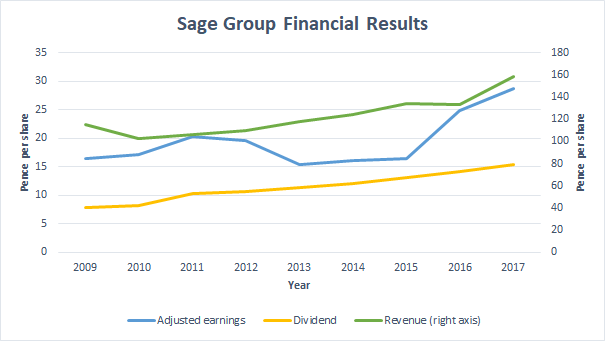 Sage’s long track record of relatively steady above average growth, combined with its low-ish debts and good profitability, are exactly what I look for in an investment. However, today’s share price of 660p is just too high for me. With a 10-year average growth rate of 5% (an average which, for the record, has declined from 10% a few years ago and 20% a few years before that) and a dividend yield of 2.4%, I find it hard to see how an investment in Sage will produce the 10%+ annual returns that I’d like to see over the next five or ten years. Have its share price go up faster than the dividend, which is also unsustainable. So if I wouldn’t invest at 660p, what price would I pay? For a start, Sage’s yield would have to be closer to 4% at the very least. That might seem unlikely, but Sage’s yield was around 4% in mid-2012. Back then its share price was 270p, less than half its current value. That’s because in 2012, investors had yet to fall in love with defensive dividend stocks. You could pick up solid performers like Sage and still get a decent yield. 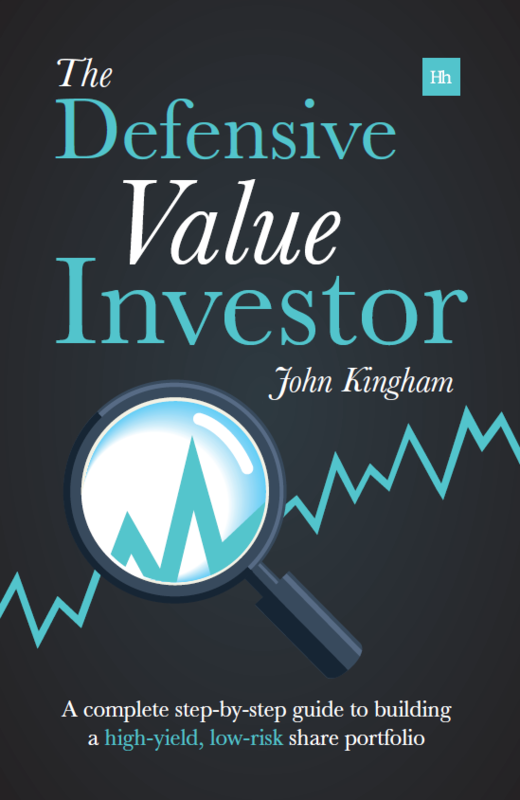 And although investors love defensive dividend stocks today, that won’t always be the case. To reach my preferred 4% dividend yield, Sage’s share price would have to fall to less than 400p. At that price it would be a top 20 stock on my stock screen, ideally placed for entry into my portfolio. Okay, so Sage’s share price would have to fall by about 40% to get to 400p and obviously that isn’t going to happen overnight. But the stock market is full of surprises and if Sage does go below 400p (or something close to it), I would gladly invest some hard earned cash into it. 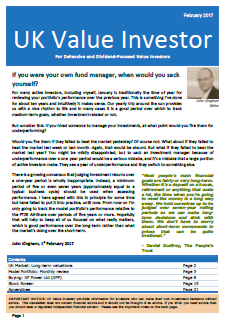 Another great article, with all the reasons why I did not invest in Sage as part of my share portfolio. I do use Sage, refused to sign up for a subscription and threatened to move to a competitor, so they sold me an updated licence at a fantastically low price, which was great for me but not so great for their dividend. Hi Ruth, thanks and an excellent inside view of Sage there! However, I suspect existing customers will eventually be ‘forced’ onto the subscription model one way or another. There is some academic research that shows price to free cash flow is a better valuation measure than price to earnings. Sage has a free cash flow yield on over 5% on that basis I would be a buyer and I am. Unfortunately this is behind a pay wall. Hi Andrew, free cash flow is definitely popular at the moment and may well be better than the old PE ratio. I’ve looked at price to free cash flow a couple of times and it seems to be of limited use (as far as I can tell so far) outside of very stable cash flow businesses like Sage. I like to cast my net a bit wider which is why I don’t use free cash flow, at least for now. My two pence for what its worth. The 5% figure taken from historical trends is too pessimistic. The move to cloud, which remember Sage has only just commenced with its existing user base, but has a long way to go with, in itself provides a significant growth opportunity. The acquisition of Intacct provides some further fuel in terms of moving users to the cloud. Combine this with reduced costs that Sage seems to be successfully executing, and the knock on effect on operating margins, and I think a figure of 8% growth looks more likely. Free Cash Flow to Enterprise Value when I last calculated was about 3.25%. So using my preferred metric of FCF/EV + Earnings Growth, Sage comes in at 11.25% pa exceeding the 10% a year long term growth target at the current share price. You say 5%, the companies management say 10% and I say 8%. None of us is very skilled at predicting the future, but I think we’d all agree that we think Sage can grow reliably for many years to come. I suppose for a defensive investor like me, that’s the most important thing, and I think there are few better shares for your money in the UK market than Sage at this price. For what its worth, Dominos Pizza group is probably the only share I would say offers better value than Sage at current prices. Ahmed, Also hold both, although bought Sage at a much lower price than today. Domino is in my portfolio, in fact it’s been in an out several times as the share price oscillates nicely with each scare announced on canabilisation of the franchise areas. This is a real potential issue, as are the costs incurred in overseas expansion, however entering at the 28X level seems to be factoring in some of those now long standing risks. On Sage, yes there are risks from competition, Xero and Quickbooks (Intuit) but the size of Sage’s customer base is a big conversion opportunity (to cloud and the regular income it might imply). All three of these companies have an opportunity to grow and reduce costs as they scale with internet expansion. Neither of these two companies mind, are high % components of my portfolio. Thanks for an interesting article. I’ve done a lot of work on this space so feel I can make a value-added comment. The move to cloud is in its very early stages, and all players in the market stand to benefit. However, according to industry feedback the response seems to unilaterally suggest that both Xero and Intuit (of Quickbooks) have the better offering, at least for the SME market. Xero was the pioneer, Intuit the quick follower, and both have done away with any real competition in their markets. For an interesting comp to Sage, look at MYOB in Australia. They were the incumbent in accounting software in Australia, and Xero’s entry into that market has been very difficult for them. While they managed to develop a cloud product, Xero has completely dominated. I believe they are on track to do the same in the UK and other geographies where Sage operates. The one exception is the USA, where Intuit dominates, because they have much deeper pockets than Xero. I disagree with you on the high switching costs because Sage’s customers will have to switch from a desktop-based to cloud-based product anyway. Whether they go in-house or switch to a new provider will not make much difference to how much disruption occurs in that process (in my opinion). If you have an accountant it is worth asking them what software they use or prefer. It might be early days in the UK, but it is likely they will answer Xero or Quickbooks. Hi Bob, thanks; you’ve made some excellent points there. I agree that Sage is better suited to larger businesses, although it still makes sense for them to try to ‘lock in’ those companies when they’re smaller. It’s a bit like the old saying about nobody ever getting fired for buying IBM; the head of the accounting department at a large company probably won’t get fired for using Sage software. As for switching costs, I still think it’s going to be a whole lot easier to migrate from Sage desktop to Sage cloud, because I’m pretty sure they could build migration software (surely they already do this?) that does most of the work anyway. And if you’re right and switching costs are relatively low, then that will make it even harder for Sage to grow at the 10% rate that management are targetting. As a result of the emergence of several accounting software providers, this sector is slowly being commoditised. This means SAGE pricing power will diminish and therefore returns for the investor will decrease. I also think the switching cost advantage that Sage currently enjoys will narrow. This is because third parties are starting to emerge which facilitate the process of moving from one provider to another. Movemybooks is one example of this situation. I understand that for a large company with a huge turnover it might be difficult to do this currently but the rate at which hardware and software are advancing the situation might be very different in five years. I think this is why I would avoid SAGE because the company itself is fantastic but with tech companies, it is very difficult to predict what will happen in the future. Hi Reg, I agree; commoditisation is a real risk. I think it would be pretty easy to develop software which can accept the exports from one system as imports into another. Having said that though, it’s still likely to be a pain in the backside for SMEs. More generally, fin-tech is cool and that means lots of competition hoping to build scale with no immediate desire for profits. These company’s can be very hard on incumbents, at least until most of them fail because of high cash burn rates or because their investors eventually demand price rises and the profits that come with them! Excellent point I never thought about the burn rate of capital. I think that’s why I like your website it’s beneficial to exchange ideas which would not be possible otherwise. Also in that terms, SAGE does have the edge over its competitors even if the product becomes commoditised.